After a two hour flight we have arrived in Adelaide in the Australian state of South Australia. This is the launch point for four days in one of Australia’s major wine producing areas. The rain has stopped – but it is still light-jacket cool and overcast. Adelaide is near the coast and fairly near the middle, south of the country. 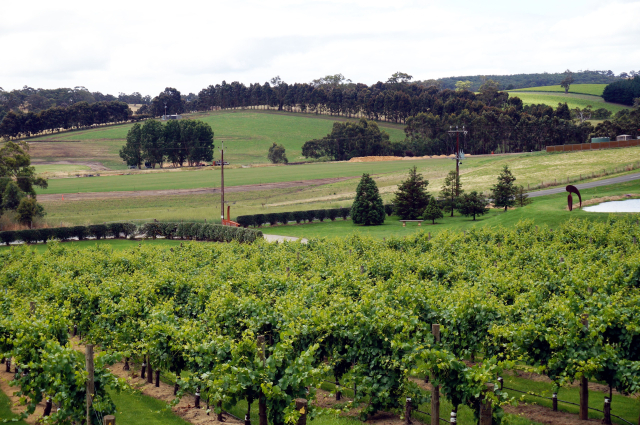 The Adelaide Hills is the nearest wine region to the city of Adelaide. Mario and Helen picked us up from our AirBnB home-stay in the city for a full day touring the Hills.